Thanks to Dr. Sharda Sarda, Krishna Institute of Medical Sciences (India) for contributing this case. To contribute a Case of the Week, follow the guidelines on our Case of the Week page. (1) We have decided to donate 10% of our Amazon.com revenue to charities, and will announce the donations at the beginning of each quarter for the prior 3 months. Although we will make the decision about the charities, let us know your suggestions. They should be bona fide charities, related to Pathology in some way, and not be political. The Amazon.com revenue derives from clicking on any Amazon.com links on our website, and then making a purchase of any type. 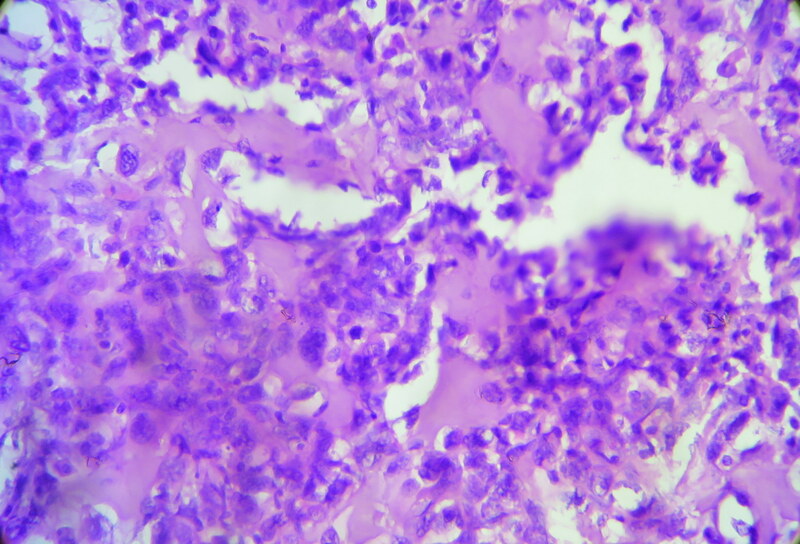 (2) We have recently posted a new Consumable Lab Products / Clinical Lab Analyzers Featured Article for November, "Laboratory Consumables: Cytology Solutions" by Jaleh Mansouri, M.D. To view more featured articles of the month by Dr. Jaleh Mansouri, visit our latest Feature page. (3) The publisher Nature is still blocking many of the images from Modern Pathology or other Nature publications that we are linking to. To get around this issue, cut and paste the URL of the image into a new tab. This works because the image will now be loaded from your server, not ours. Read more. A 75 year old man with diabetes and hypertension presented with acute abdominal pain. 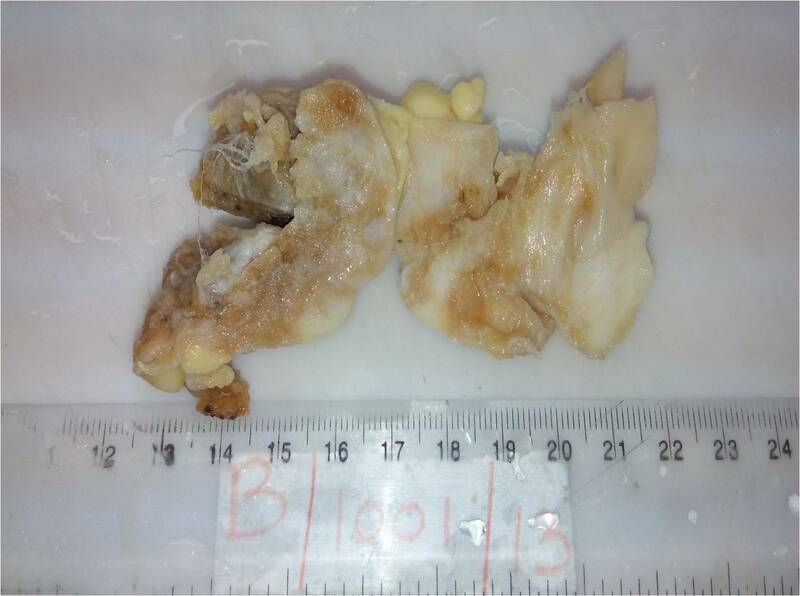 The clinical diagnosis was acute intestinal perforation, and he underwent immediate laparotomy, which revealed multiple small firm nodules over the jejunal mesentery and two jejunal perforations. A jejunal resection was performed. The 60 cm long jejunal loop had multiple serosal grey-white, firm to hard globular nodules up to 2.5 cm, with a solid grey-white cut surface. 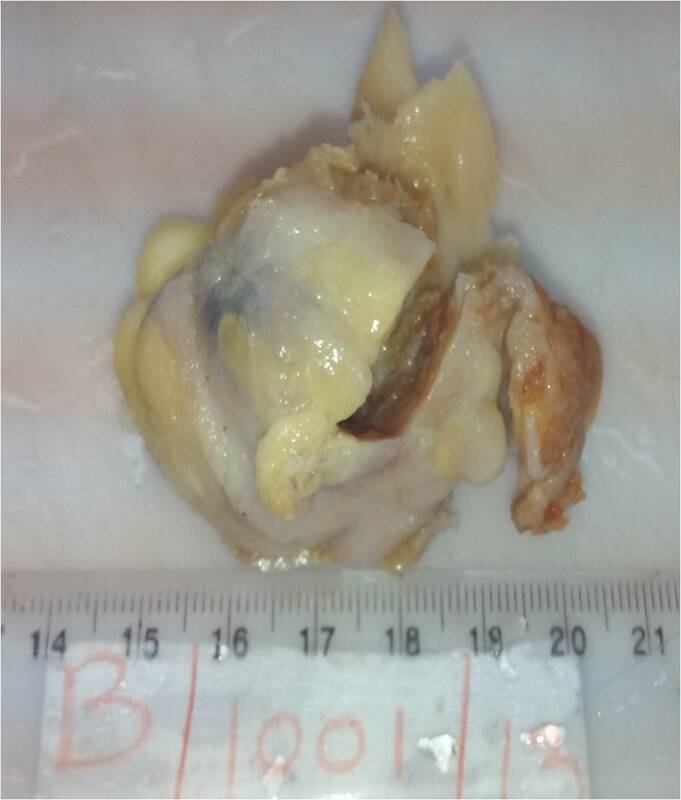 A 55 year old woman with cervical carcinoma 5 years previously, treated with radiation, presented with a gluteal mass of 6 months duration, which was excised. The specimen was a well circumscribed grey-white nodular mass, 5.5 x 4.5 cm, with a solid grey-white cut surface with calcification. 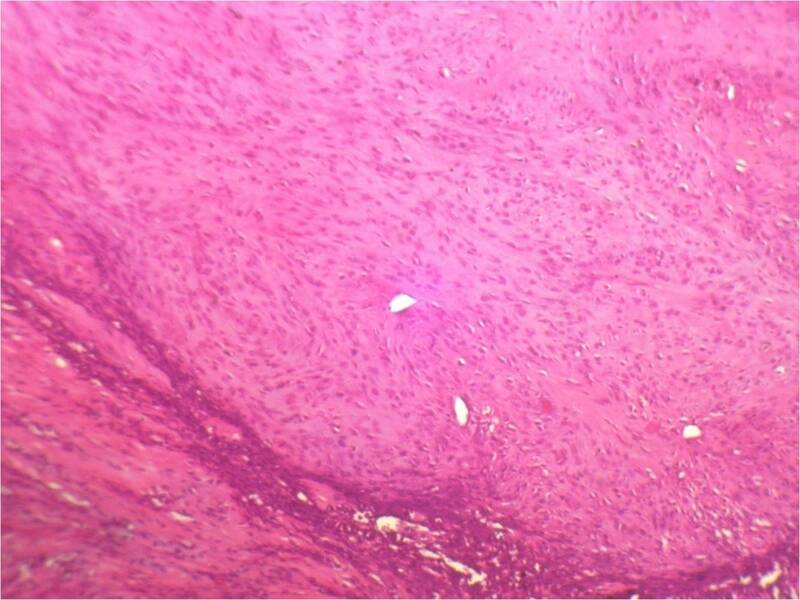 Extraskeletal osteosarcoma (ESOS) is a rare soft tissue tumor which constitutes ~4% of osteosarcomas (Cancer 1990;65:2762). ESOS affects an older age group than osteosarcoma of bone (median age is 61 years), and shows a male preponderance (male to female ratio 1.9:1, Sarcoma 2000;4:119, Cancer 1995;76:2253, Cancer 1990;65:2762, Cancer 1983;51:727). The most commonly affected sites are the thigh and buttocks, followed by the retroperitoneum (Enzinger and Weiss's Soft Tissue Tumors, 2013). 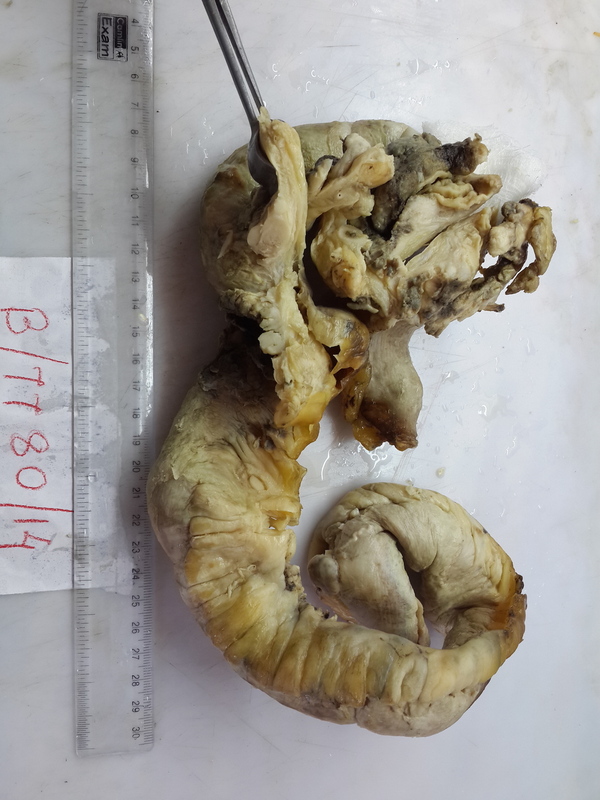 Presentation in the mesentery is rare, with only 6 cases reported in the literature (Saudi Med J 2011;32:958). ESOS may also arise from other unusual sites, including breast, cerebellum, esophagus, gallbladder, hand, liver, kidney, larynx, parotid gland, small intestine and uterus. Radiographic imaging shows a soft tissue mass with areas of mineralization and lack of osseous involvement. 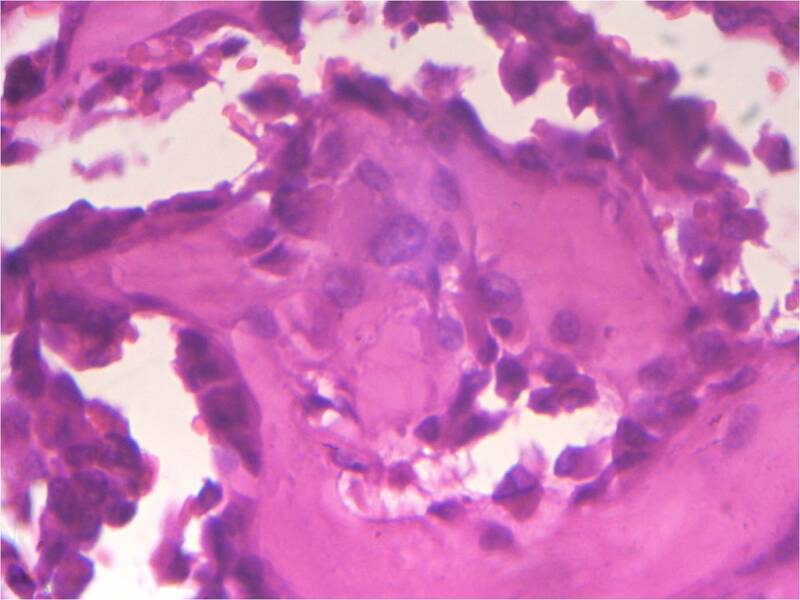 The differential diagnosis for calcifications in soft tissue is broad; therefore, histopathologic examination is essential for definitive diagnosis (NJBCS 2013;10:95, Saudi Med J 2011;32:958). 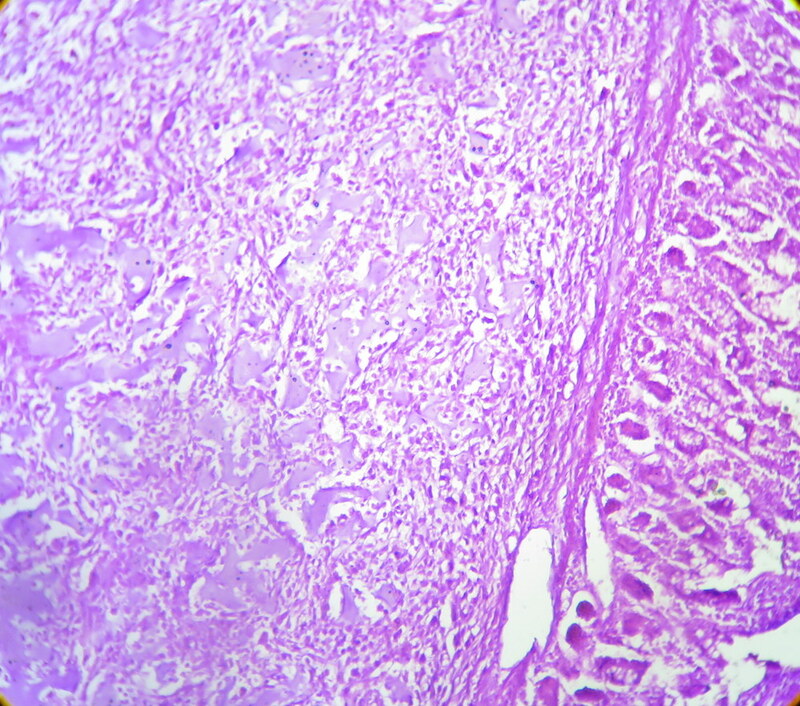 Histopathologic examination reveals a cellular proliferation and a lace-like pattern of osteoid matrix formed by the neoplastic cells. Malignant osteoid tends to show reverse zonation by localizing towards the center (Case #2, Fig 3). 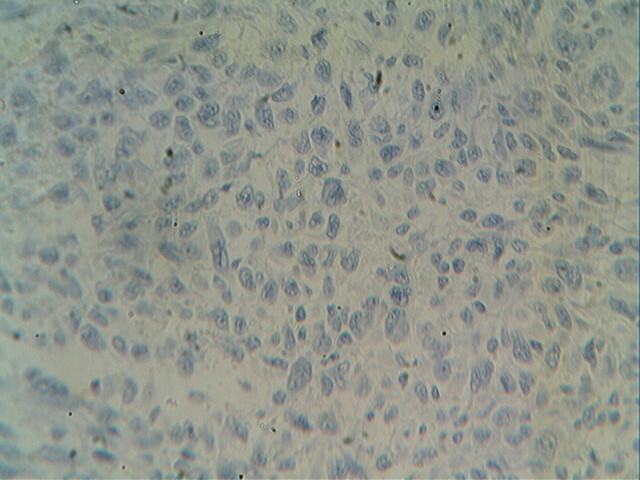 The tumor cells are large, pleomorphic, spindled or polygonal, and have scanty eosinophilic cytoplasm with large hyperchromatic nuclei. Bizarre forms may be seen. Six histologic types have been described: osteoblastic, fibroblastic, chondroblastic, telangiectatic, small cell and well differentiated (NJBCS 2013;10:95, Saudi Med J 2011;32:958). 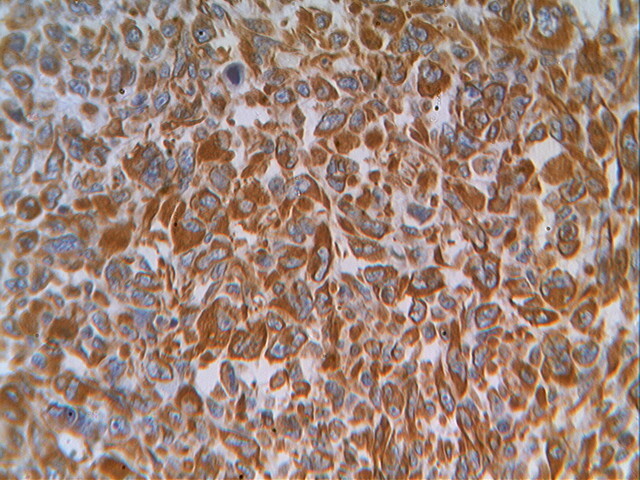 Other entities must be excluded by negative immunohistochemistry: in Case 1, desmin and cytokeratin were negative, to help confirm the diagnosis. 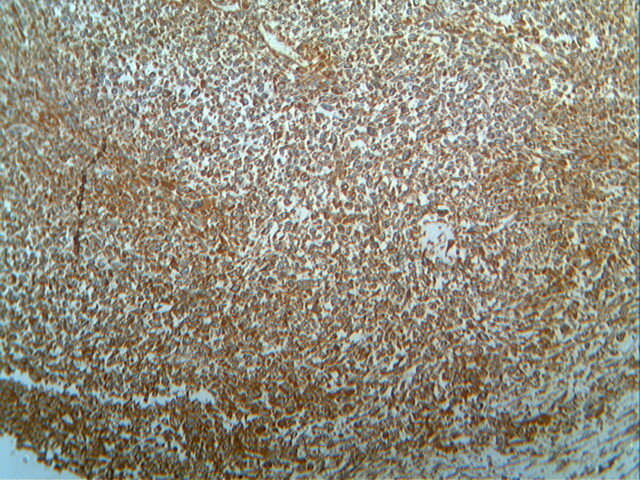 ESOS is immunoreactive for vimentin, although this marker is not specific (NJBCS 2013;10:95, Saudi Med J 2011;32:958). 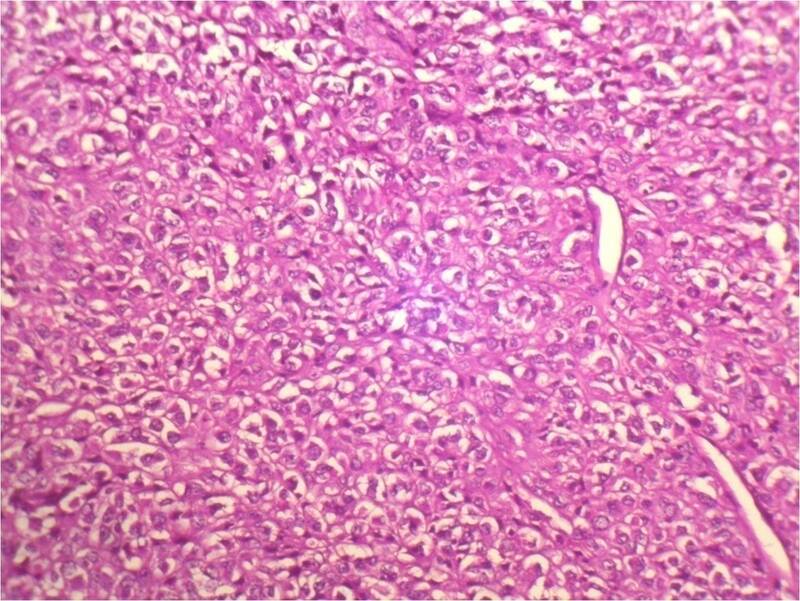 The differential diagnosis includes myositis ossificans (MO) and malignant fibrous histiocytoma (MFH). MO is a benign ossifying process usually occurring in young adults as a single, well circumscribed mass within skeletal muscle. 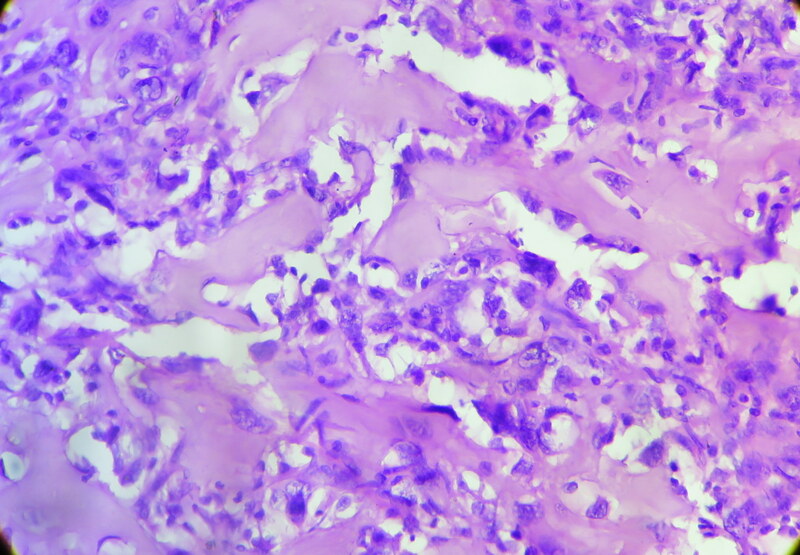 Microscopically, there is zonation with peripheral differentiation into well formed bone with no cytological atypia (Cancer 1995;76:2253, BMC Cancer 2007;7:82). ESOS may resemble MFH in cases where osteoid is absent. 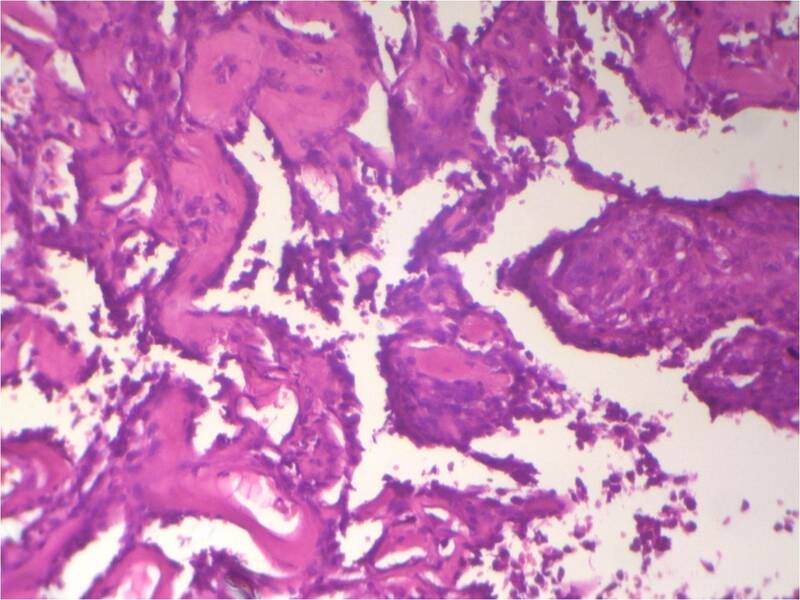 ESOS is an aggressive tumor with poor prognosis, with possible recurrence and metastasis even after adequate therapy. Mortality is high, at 70-80% (Enzinger and Weiss's Soft Tissue Tumors, 2013, Cancer 1990;65:2762). Radiation exposure is a well documented predisposing factor (Cancer 1995;76:2253, Cancer 1990;65:2762, Cancer 1983;51:727). The two patients reported above both died of disease. Radical surgical excision with or without adjuvant chemotherapy and radiotherapy is the mainstay of treatment. (Enzinger and Weiss's Soft Tissue Tumors, 2013). Tumor size and mitotic figures are prognostic predictors, with tumor size greater than 5 cm showing the worst outcome (Cancer 1995;76:2253, Cancer 1990;65:2762, BMC Cancer 2007;7:82). 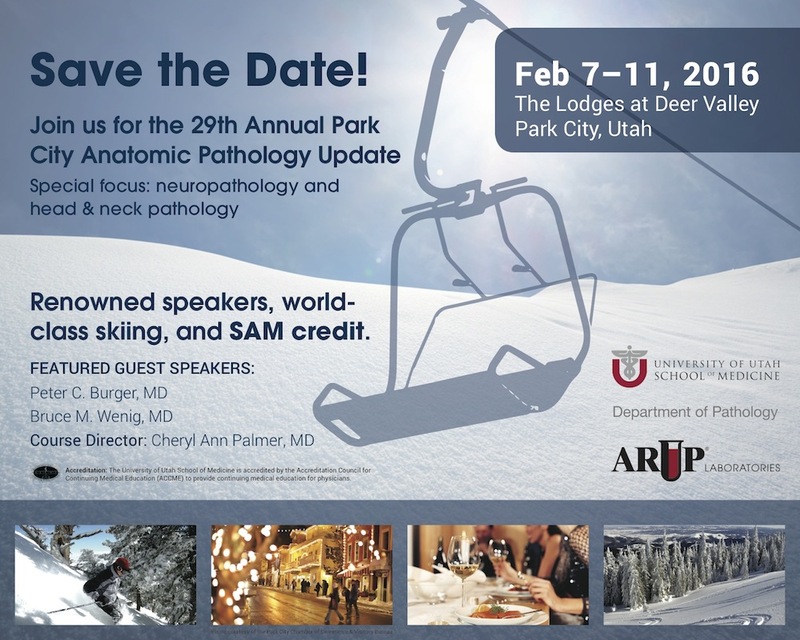 Discussion by Drs. Jyotsna Wader, A Y Kshirsagar, Sujata Kumbhar, Sharda Sarda and Pankti Patel, Krishna Institute of Medical Sciences (India). Edited by Dr. Jennifer R. Kaley, University of Arkansas for Medical Sciences (USA).